Lavender makes a beautiful live topiary plant. The leaves curve so gracefully that the plant almost sculpts itself. The coloration is also beautiful. They range in color from pale green to a darker green that is nearly blue, and there is a thin dusting of white fuzz on every leaf. The plant's leaves reach upward as if cupping the light, and yet they bend at the ends, which gives lavender extra personality. The overall effect is quite striking in natural light. Lavender is also aromatic, so as a fresh topiary plant it is very atmospheric. Live topiary plants add a lot to a room or a patio, but lavender takes that an extra step beyond, because its appearance and scent command attention. Fresh topiary is too often merely visual, and lavender is a cut above the rest because it is a full sensory experience. It can freshen up an interior room or a patio. Make sure to care for it according to the directions so that it will be as healthy as possible. 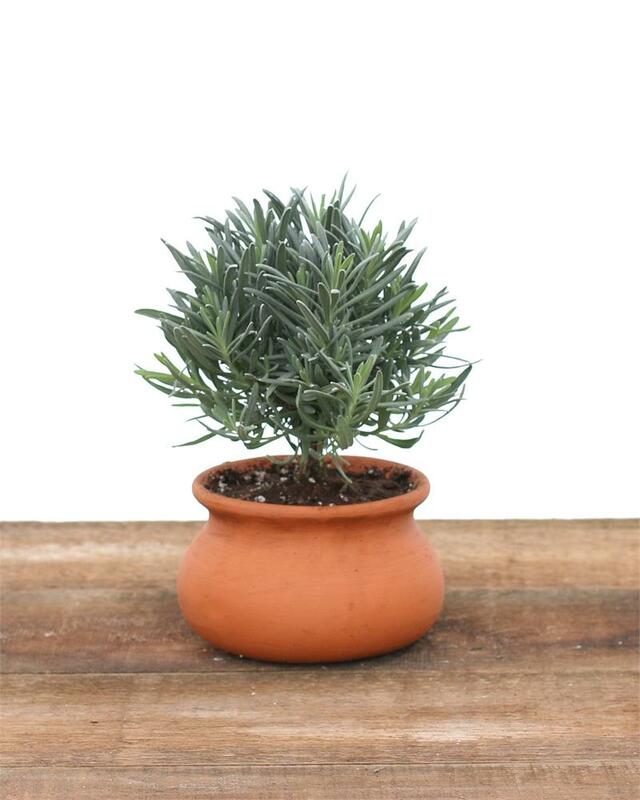 A healthy lavender plant will provide you with a better aroma. In terms of the smell, the lavender topiary are absolutely stunning. Perhaps, this may be one of the most noticeable features of this topiary plant. Lavender is aromatic, so as a fresh topiary plant it is very atmospheric. As such, topiary plant make great additions to a room or a patio, but lavender takes that an extra step beyond, because its appearance and scent command attention. You can add this plant to an outdoor area in order to provide it a fresh smell of heaven. Fresh topiary is too often merely visual, and lavender is a cut above the rest because it is a full sensory experience. It can freshen up an interior room or a patio. Make sure to care for it according to the directions so that it will be as healthy as possible. A healthy lavender plant will provide you with a better aroma. We provide fresh, quality topiaries and topiary accessories at an affordable price. Shop for your favorite topiary or a gift for a loved one online now. Enjoy our fresh topiaries from topiarytree.net delivered from the nursery to your door step! Shop our entire line of fresh and artificial topiaries today!